Investigated various sources to re-establish the AHEPA “Journey to Greece” Program –such as Athens College, A.C.S. and UINDY Athens – by Tony Gremos, George Dussias, Panos Liatsos, Nick Doumas, Dimitri Hatzimihail, and Jenny Diamantis and made recommendations to the Ahepa Educational Foundation. Today we continue to support the University of Indianapolis Athens Campus with strengthening the summer youth program. In October of 2000, in the courtyard of the American Embassy in Athens, the unveiling of the AHEPA George C. Marshall Statue took place. At the unveiling, Archbishop Christodoulos, Minister of Culture Mr. E. Pagalos, Mayor Dimitris Avramopoulos of Athens, and the Ambassador of the U.S. Embassy Mr. N. Burns and Supreme President Johnny Economy and many dignitaries from Greece and abroad were all present. A series of public relations efforts began to increase awareness of AHEPA in Hellas with radio, television interviews, building our relationships with government officials and various fundraising events such as Christmas Gala, Fashion Show, and Conferences held at Grande Bretagne Hotel, Ledra Marriott, Hyatt Regency in Thessaloniki, Zappeion Center, Portaria Volos, and many others. In December, the AHEPA – D.O.P. HELLAS DISTRICT # 25 with HJ1, HJ2 Athens AHEPA chapters and Daughters of Penelope Hesperus #359 ( Athens ) held a Christmas Gala – Holiday Fashion Show by renowned Fashion designer Mr. Timis Parissis in cooperation with the archdiocese and the funds raised benefit the program << Love all Children >>. AHEPA INTERNATIONAL committee comprised of AHEPA USA Hellas Canada and Australia met to discuss matters of common interest among others the reunification of the Parthenon Sculptures to HELLAS and the 2004 Olympic Games in Athens – Greece. The City of Aharani –Attica and the Mayor Mr. P. Papanikas Honored Ahepa family for their Contribution and efforts to restore the city after the 1999 devastating earthquake that destroyed almost all the area, in the presence of Princess Ekaterina, among other philanthropists. On May 2, 2001, a Grand Banquet was held at the Aigli Hall at Zeppelin Gardens in honor of the American Hellenic Educational Institutions in Greece. The U.S. Embassy in Athens, Pierce College, Deere College, American Farm School of Thessaloniki, Athens College, Psychiko College, and American Community Schools of Athens, Hellenic American Union, Anatolia College/American College of Thessaloniki, AHEPA Supreme Lodge, and Daughters of Penelope Grand Lodge were all honored. On October 19, 2001, after the 9/11 attacks, a fundraising dinner was held at the Hellenic American Union to assist the “Families of the Victims” which raised $1,000. Also, each year in October, AHEPA HELLAS participates in the 28th October OX Day parade celebration in Thessaloniki with members from Glyfada, Athens and on occasion from USA all proudly parading in the procession. In 2003, AHEPA HELLAS organized its first major successful Symposium, under the chairmanship of Mr. Anastos Dimitropoulos and District Governor Vasilis Gotzios, which focused on the topic of “Universal Hellenism”. 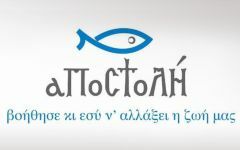 This 3-day symposium attracted over 35 guest speakers with the caliber of Dr. Stamatis Kirmitzes of NASA, Dr. Aris Partrinos, DNA researcher, Dr. Dimitris Nanopoulos, Big Bang theorist, Religious leaders such as the Metropolitan of Pizzerias Methodist Fogies, Bishop of Achaia Athanasios, Bishop of the Monastery Kykou Nikiforos, Cypriot Foreign Minister Mr. Iakovou. In addition to the above, special honors and awards were presented to philanthropists and community leaders such as Mr. Stelios Papadimitriou of the Onassis Foundation, Mr. George Paraskevaides of J&P Construction, Mr. Nicholas Vernikos of Vernikos Yachts, Mr. Ted Spyropoulos of Plant your Roots in Greece, Mrs. Katerina Panagopoulou, Mr. Stavros Lamrinides, Mr. Christos Tzekos, and Mr. Dimitris Makridis. Special recognition and Awards were presented to major benefactors to Greece, the Greek people, and society, such as Mr. Ioannis Latsis and the Latsis Foundation supporting the restoration and settlement of Greek Albanians, the Aristotle Onassis Foundation, and the Lyceum of Greek Women, whose purpose is to preserve Hellenic Culture and Traditions. Other award recipients included from the AHEPA Family, Past Supreme President A. Stash Betzelos, Anthony Tsouyopoulos-Gremos, Past District Governor (1st PDG of Hellas), Harry Doumas for his fervent support of Hellenism, Mr. Lambros Sourbis author of the AHEPA HELLAS District Official AHEPA Anthem and Zakynthos Chapter HJ-5 founder. Also honored were Karyatides 271 – Athens’s first Daughters of Penelope Chapter and custodial support of the Penelopean Day Care Center in Athens since 1955 – journalist Mrs. Despina Lelekou-Tataki and Ms. Nancy Biska. The symposium was organized by then District Governors Vassilis Gotzios and Maria Xida. The opening day ceremony, which took place at the Old Parliament Building, was filled to capacity with standing room only available. The keynote speakers and awards presentations took place at the Grande Bretagne Ballroom, again filled to capacity, which was followed by an elegant cocktail reception. The same year AHEPA HELLAS District Governor George Dussias, PDG with the initiative of Jenny Diamantis, PDG D.O.P., organized a 2004 Para Olympics Awards Gala Dinner at the Ledra Marriott Hotel in honor of the medalists with the cooperation of the 2004 Para Olympics committee and in support of students from historic Pontos in collaboration with the Pontian Society. Archaeologist Mr. Victor Sariyiannidis was the special honoree of the evening. In 2005 after attending the Boston Supreme Convention, we eagerly accepted the challenge from Supreme President Gus James to organize the American Hellenic Forum 2006 to honor the Hellenic Republic and Hellenism. This was successfully accomplished under the leadership of Dr. Alfred J. Barich, District Governor, who hosted a combined USA, Canada and Australian delegation of over 100 to experience the history and culture of Hellas with visits to museums, the Mediterranean culinary experience, high level business and government meetings during the April 2006 week-long visit which culminated at a grand banquet with AHEPA achieving for the first time to have the President of the Hellenic Republic Mr. Karolos Papoulias, the Prime Minister Mr. Konstantinos Karamanlis and the Parliament President Mrs. Anna Psarouda-Benaki all on the same days and keynote speakers. The delegation continued on to Thessaloniki for a 2-day visit, attending the Megaron Music Center concert of “Byzantine music” composed by Mikis Theodorakis and Max Bruch performed by Dimitris Bassis and accompanied on piano by Tatiana Papageorgiou. Looking ahead, AHEPA HELLAS is eager to begin utilizing the tremendous manpower, proven experience and most significant the love, dedication and will of its members to welcome the AHEPA Supreme Convention in 2008. With the considerable efforts of the President of Athens Chapter HJ-1 George Costas, the long journey to revitalize the youth program is today a reality. Local members who dedicated efforts to achieve the goal include George Dussias, Panos Liatsos, Tony Gremos, Thanasis Sarantopoulos, and from Glyfada Chapter HJ-2 President George Billos and Vice President, Jim Nestor. Since the summer of 2006, the AHEPA Journey to Greece with the University of Indianapolis, Athens Campus offers college students a chance to study for one month at a fully accredited US University in Greece learning about modern and ancient Greece, seeing and experiencing the beauty of the country and its people and earning six transferable university credits. AHEPA and the University of Indianapolis, Athens Campus has joined forces to offer an unforgettable experience to young people. The AHEPA Journey to Greece program, which is fully supervised by AHEPA chaperones, has been designed to immerse young students in a wonderful learning experience celebrating Greek society and culture. AHEPA HELLAS – Daughters of Penelope – PHILADELPHIA Boys Choir & Chorale June 20 – 27, 2007 Performance Tour and Visit in Greece. Under the auspices of the American Embassy in Athens and the Hellenic Ministry of Press & Communication and the cooperation of the American College of Thessaloniki – The American Farm School – the American Community Schools – The University of Indianapolis – The municipalities of Delphi (Mayor Mr. P. Kaltsis) and Kallithea-Attica (Mayor Mr. K. Askounis) “America’s Ambassadors of Song “ the finest musical trained and talented boys and men from the Greater Philadelphia, Pennsylvania area provided us with outstanding, unforgettable performances. The coordinators of the Event were Mr. Nikolas Greanias US Consulate in Athens, Mr. George Dussias Ahepa Hellas District Secretary, Mrs. Jenny Diamantis PDG and Katerina M. Diamantis D.O.P. Treasurer of Alkyonides #409, Glyfada. After the devastating fires in August 2007, Dr. Barich flew to Washington D.C. in September to appeal to the leadership for financial support and assist Supreme President Ike Gulas with AHEPA securing an immediate release of $1.5 million from the US State Department for the Greek Fire Victims Fund. This was followed with 8 tons of household goods and items being collected and boxed in at the AHEPA headquarters offices under the leadership of Basil Mossaidis and shipped to Greece. With the Kalamata HJ-7 chapter president Mr. Yiannis Mitropoulos leadership, the over 280 boxes were received and distributed though out the region direct to the victims. Continuing strong, in 2007 the AHEPA HELLAS district was honored to host a formal luncheon at the Grande Bretagne Hotel in honor of the U. S. Congressional Delegation official visit to Greece. The CoDel was on a fact-finding mission regarding issues impacting the region as well as the economy and investment climate. AHEPA was also the first organization to officially welcome and meet the new US Ambassador to Greece Mr. Daniel Speckhard at this event. In 2008, events included the February 2008 “Money Show” and was followed by the “Tourism & Property” trade shows with booths and presentations of the AHEPA Hellas – USA Business Link network which was held in March in Washington D.C. on Capital Hill and New York City. Also part of this business visit included presentations for the “Return of the Parthenon Sculptures”. The business and cultural delegation took part in the AHEPA Bi-Annual Congressional Banquet and the Daughters of Penelope “Salute to Women” events at the historic Mayflower Hotel in Washington. And of course co-organizing and welcoming the 86th Annual National Convention from June 30 to July 12, 2008 in Greece with a host of events including a Welcome Reception at Athens College and the opening of the AHEPA Symposia, an opening ceremony at the Zappeion Megaron and Conference Center, athletic events, symposiums, business expo, historic photo exhibit, grand ball glendi, grand banquet, awards presentations, 4th of July celebration, tours, closing ceremonies and concert and cruises in the Aegean Sea. • Περίθαλψη σεισμοπλήκτων Ιονίων νήσων. • $500 εκατομμύρια δολάρια σε “ομόλογα πολέμου” κατά την διάρκεια του Β’ Παγκοσμίου Πολέμου, ως επίσημος εκδίδουσα Αρχή για λογαριασμό του Υπουργείου Οικονομικών των Η.Π.Α. • Έναρξη αποστολών προς Αμερική στα πλαίσια προγραμμάτων ανταλλαγών για Έλληνες μαθητές γυμνασίων. • Άνω των $50,000 δολαρίων ετησίως για υποτροφίες μαθητών γυμνασίων που απονέμεται από το ίδρυμα σπουδών ΑΗΕΡΑ και τα τοπικά τμήματα.